The best way to maintain fabric and cushion life is to store them in a dry area or cover them with furniture covers when not in use. Fabrics should be cleaned periodically with a solution of mild liquid detergent and lukewarm water. Hand washing is recommended rather than machine washing. 1. Prepare a cleaning solution of 1:16 mild detergent to lukewarm water (max 100°F/40°C). 2. Use a sponge or a soft bristle brush as necessary. 3. Allow cleaning solution to soak into fabric. 4. Rinse thoroughly to remove all soap residue. 5. Allow fabric to air dry thoroughly before use. 1. Scrub the area with a soft brush and mild soap. 2. Rinse thoroughly to remove all soap residue. 3. Air dry, Repeat steps 1 and 2 until all soap residue is removed. The upper pole and ribs of the umbrella should occasionally be applied with a protective lubricant, such as WD-40. Do not lubricate the crank mechanism. Do not spray the lubricant on the umbrella fabric. Clean regularly with a soft cloth. Use APEX Glass Cleaner to get a clean glass top. No streaks, grime and cuts grease. Clean the furniture regularly with APEX Stainless Steel Cleaner. Rub with the grain of the metal. Regular washing and thorough rinsing of the aluminium frame with Apex All Purpose Cleaner will remove surface dirt, outdoor contaminants and body oils. The furniture, when left outdoors, will turn from a golden brown to handsome silver-gray. The only maintenance necessary for your furniture is periodic cleaning. To help care for your teak, use a teak cleaner with a soft bristle brush. When you are finished, rinse the entire piece to remove the dirt and any remaining solution. 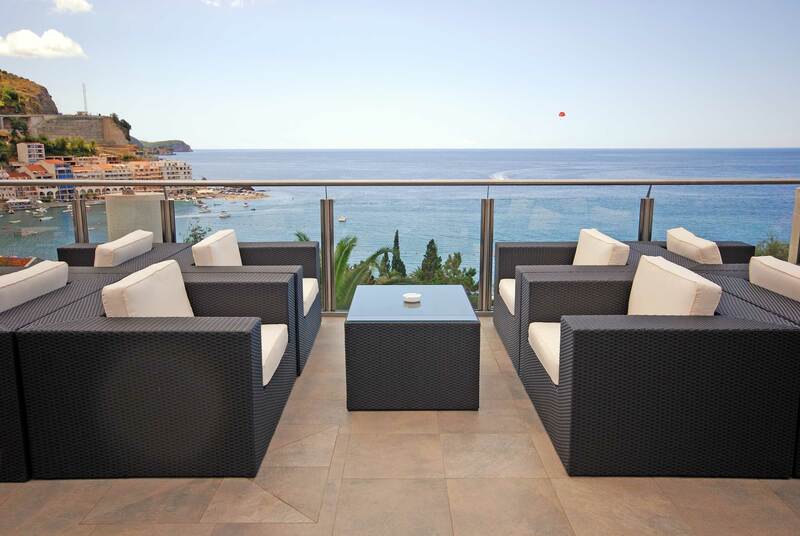 Quality synthetic rattan is extremely durable and requires minimal maintenance. Simply use APEX All Purpose Cleaner to keep the rattan clean or cover them with furniture covers when not in use.